As dog parents, we aim to feed canine companions a nutritionally sound diet, but with the rising costs of pet food, it's only fair we try to find the best deals. Today we're taking a look at the best dog food for the money in different price ranges. To help us all pick good cheap dog food while also getting the best value for the money, I've done the research and the math. In short, we've considered several most important factors for each dog food brand: (1) quality of ingredients, (2) nutrition, (3) price per bag, (4) company's reputation and (5) the overall value. As I was weighing the various dog food options below to determine the best dog food for the money, my primary focus was on the nutritive value of the food itself. Dog food recall history of pet food manufacturing companies also weighed heavily in my ranking of these foods, followed by the price per bag of dog food and the yield of each bag. Final tip: If you're debating between two different dog food options, look at the available protein recipes for each. Rotating between protein varieties incorporates diverse nutrients into your dog’s diet and provides more flavor variety. Veterinarians also believe that rotational feeding like this helps to prevent dogs from developing sensitivities to ingredients in dog foods that they are not exposed to regularly. How to Pick the Best Dog Food for the Money? As a pet owner on a tight budget myself, choosing the best dog food for the money is part of my monthly budget planning. I will often go through my list of best dog food on a budget, starting at the bottom with the best cheap dog food brands and go up towards most expensive foods on the market. For this article, I'm sharing my own research, so here's how I chose the best dog food for the money brands listed below. Bag size and price – how long the bag will last us based on the next two following factors below. Price per pound – the overall value of a dog food bag based on how much I'm paying for it. Serving size – the amount of food to reach optimal nutrition, paired with the above factor. Nutrition – what type of nutrition the food itself provides and if it's sufficient for my dogs. Quality – what are the ingredients and their quality (more details on their assessment here). Recalls – consider how many recalls did this pet food company have in the past. Reputation – how well is the dog food brand and company known, and what are their standings. Manufacturing practices – how and where the company makes their dog foods. The above considerations were the most important for me to pick the best dog food for the money in this list, and after going through hundreds of pet food brands on the market, I've found 17 dog food brands that are worth mentioning. Some of these may be new to you, and you'll probably miss other brands that you've heard about before but don't see them included on the list. Unfortunately, that means that based on the above formula, they simply did not make the cut as the best dog food for the money (too expensive). After choosing many dog food brands and confirming that they meet all criteria for the best dog food for the money, I have then split them into several categories and sub-categories. You will see below that we have the most popular types – dry dog food, wet dog food, pre-made raw/homemade foods and freeze-dried/dehydrated dog foods. Furthermore, because most of us are on different budgets, I've also split each category into price ranges: Budget, Mid-range, Premium and Top of the Line (from cheap to costly). With that said, this list came to have seventeen brands that are worth calling the best dog food for the money, and I believe every dog owner will find something that fits their dog and won't break the bank. If you think I missed some good cheap dog food brands worth mentioning, let me know in the comments. Now, here are the best dog food for the money choices for 2018, starting with best dry dog foods. 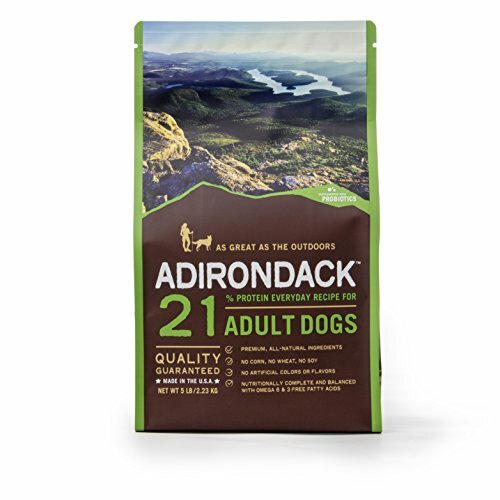 What You Need to Know: Adirondack performance based dog foods have never had a recall of their foods. They manufacture their own dog foods in their own U.S. based manufacturing plant. Formulas are based more on protein percentage rather than unique protein sources, so this may not be the best option for allergy-prone pups. What You Need to Know: Earthborn Holistics has never had to recall their line of dog foods. They manufacture their own foods in their own facilities and offer a range of protein options for dogs with all dietary needs. They are newer brand compared to some like Wellness, but their reputation among pet owners have quickly gained them a lot of attention and their quality of ingredients and outstanding manufacturing practices makes them a perfect mid-range dog food choice. What You Need to Know: Another company with a good reputation, Nulo has never had any recall of their dog foods, and they make their own foods in manufacturing plants that have been federally inspected. Unlike some other pet food companies, Nulo discloses how and where they make all their pet food (in America), sourcing of ingredients and manufacturing practices, which is very important for every pet owner to know. Their quality speaks for itself, which is why their cost is higher than some other choices, but this still makes them one of the best dog food for the money choices in the premium (higher cost) range. What You Need to Know: Open Farm is much lesser known brand in the pet food industry, mostly because their spend less money on marketing and more on improving the quality of their pet foods. 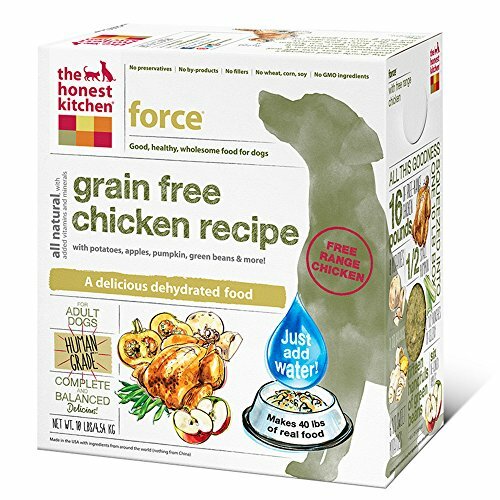 This is an expensive option, but certainly one of the best dog food for the money choice that has never had any recall of their foods and their formulas are made with sustainable, locally farmed, and ethically raised ingredients. This is the top of the line food as far as ingredient quality and environmental effects go. Size: 12 x 13.2 Oz. What You Need to Know: Precise pet foods are made by Texas Farm Products and have never had a recall of any of their foods. 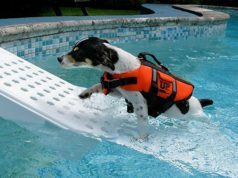 They offer the best nutritive value for a pet owner looking to buy wet dog food brands, and shopping on a very tight budget. While some parts of their manufacturing process leaves something to be desired, in this price range they are the best dog food for the money you can find, with high quality protein sources and without packing their dog foods full of grains. Size: 12 x 13 oz. What You Need to Know: Blackwood is another dog food company that has never had a recall of their formulas, but they are also smaller in size and relatively new to the industry when comparing to some of the brands that have been around for decades. Nevertheless, Blackwood dog foods are made at their own plant-based out of Kansas City and in St, Mary’s Ohio, with no artificial colors or ingredients. They have good manufacturing practices and disclose their process, which always inspires confidence. What You Need to Know: I've already ranked Nulo's dry dog food above as one of the best dog food for the money choices in that category, but the same goes for their canned dog food – Nulo has never had any recall of their formulas, and for the company of their size, it's impressive. They make their own foods in manufacturing plants in the US that have been federally inspected, and their wet foods are just as high quality as their dry kibble, which puts them at a solid standing among the best rated premium dog foods that are still affordable for a pet owner on a budget. Size: 12 x 12.5 oz. What You Need to Know: Here is another pet food company that majority of pet owners probably haven't paid attention to. However, you probably should start looking at their dog foods, because Lotus has never had to recall their pet foods, and they manufacture their foods in a privately-owned facility in the USA with truly high quality ingredients and avoiding most of the fillers that are often found in popular dog food brands. Of course, their smaller size and high quality ingredients make this an expensive dog food brand, but as far as top of the line wet foods go, this is the best dog food for the money you can find. What You Need to Know: Freshpet Vital premade raw food has never had to recall their foods, and they manufacture all of their food in a company owned manufacturing plant here in America. They have recently been gaining some popularity as more pet owners are switching to pre-made raw and pre-made homemade dog food brands, and in terms of the prices, Freshpet is as good as it gets for the lower cost that you pay. What You Need to Know: Stella & Chewy’s offer an incredible selection of raw pre-made foods that are all USA made and they are by far the most popular and highest quality pre-made raw dog food manufacturer. In terms of their prices, they're definitely in the mid-range, not being the cheapest or the most expensive, they are the best dog food for the money a pet owner interested in raw feeding can buy today. That said, keep in mind that the company did have to recall their food in the past. But while Stella & Chewy’s are not recall free, their food safety process has greatly improved in recent years, and they offer product safety tracking information via their website. What You Need to Know: Another lesser known pet food company that's focused on extremely high quality dog food manufacturing, not only in terms of ingredients, but their practices and the whole process. Answers raw pet food has never had to recall their pet food products, which isn't surprising because they make their foods from USDA approved and human grade meat in their own facility. This is a more expensive raw dog food brand, but certainly one of the best foods the money can buy in this range. What You Need to Know: Valiant is a rather new name on the market as well, but they manufacture their foods in USDA and FDA inspected facilities, which will always raise the cost significantly. Their foods are made in the USA, following extremely careful manufacturing practices and are made with unique ingredients that are ideal for allergen-prone dogs. This is by far one of the most expensive dog food brands from the raw frozen line of dog foods, but if you're looking for the highest quality, Valiant Pet may be a choice you should consider and it's certainly the best dog food for the money in this range. What You Need to Know: Spot Farms is not as well known, but they've been making good cheap dog food formulas for a while. As far as prices go, this best dog food for the money is made from USDA approved meats from family farms in the U.S. and cooked in U.S. kitchens in small batches. Spot Farms has had no recalls of their food products but they have had voluntary recalls of their treat products. That said, Spot Farms is the single most affordable dehydrated dog food product on the market and they offer a high-quality food option with multiple protein sources. What You Need to Know: Grandma Lucy’s freeze dried dog food are very well known to pet owners in the US, and they have never had to recall their pet foods. As with most mid-range dog food brands, this is the formula I would usually recommend from the category, as it's the best dog food for the money considering all the factors. Their foods are made and freeze-dried in a family owned and operated facility in Southern California, USA and their limited ingredient formulas are perfect for many dogs with certain health conditions, like sensitive stomach or food allergies. What You Need to Know: The Honest Kitchen have already made the name for themselves in the last few years, demonstrating their dedication to transparent and high standard manufacturing practices. The company makes their food in FDA inspected facilities suitable for producing human-grade foods and just like the above mention, they're one of the best dog food for the money choices on the list. However, The Honest Kitchen has had one voluntary recall of their food back in 2013 for salmonella contamination. Despite this recall, The Honest Kitchen is a family owned company who have grown considerably since their first recall. As their growth continues, they add more diversity of protein to their dehydrated food line. What You Need to Know: I and Love and You dehydrated dog foods are produced and packaged in the U.S. and they use high-quality proteins from safe and reputable countries. ILY has never recalled their pet food products, but in 2015 they did issue a voluntary recall of their treats for possible salmonella contamination. As a lot of other smaller pet food manufacturing companies, they spend a lot more time and money investing into higher quality ingredients and improving their manufacturing process, which raises the cost and thereby makes this a premium quality costly dog food option. But if this is the price range that you're looking at, I and Love and You is certainly one of the best dog food for the money options here. What You Need to Know: As the final pick on the list, here's another lesser known company from North America that's dedicated to high quality pet food manufacturing. NRG Maxim dehydrated raw dog food has had no recalls of their pet foods to date. NRG foods are made in Canada on a family owned farm where ingredients are dehydrated in a company owned facility. All the ingredients are sourced only in the USA and Canada which, if you're not aware, is extremely rare for pet food companies to do, and this raises the costs significantly. This also means that the quality of pet food is top of the line, and it's unlikely you'll be able to find anything better. Thus, if expensive highest quality choice is what you're after, then this is the best dog food for the money to date. This is a helpful list. Thank you for putting it together. I’ll be making some purchases based on this soon. My baby chihuahua deserves the best I can afford (I’m willing to give up so he can have amazing dog food (hey, he’s 3 pounds, so he doesn’t eat put 12 -14 tbsp a day and he gets some food treats (his own food, just in another form he thinks is different). Kong training all the way!